Here is this week's edition of Tough Call. Does Dan Evans’ Penalty Fit the Offense? 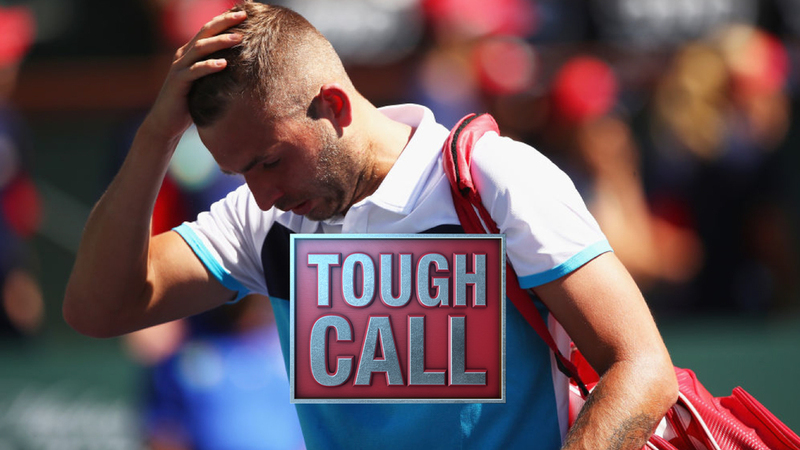 On Tuesday, British player Dan Evans was slapped with a one-year ban for testing positive for cocaine, which he claimed he had taken out of competition four days before the test. He will also forfeit his $121,000 prize money and ranking points he earned from late-April of 2017 through June of 2017. Do you agree with the penalty? ~ He broke the rules and deserves his suspension. ~ He only has himself to blame as he knew better than to take the substance. ~ The use of illegal drugs should not be tolerated. ~ He's a first-time offender. ~It was inadvertent contamination" as he had taken the cocaine for recreational purposes while out of competition. ~ The amount used was small. He was at the best point in his career when a stupid move put it all at risk. The amount of the drug consumed and the time it was taken doesn't indicate a performance-enhancing motive. He may need to go to rehab, or at least counseling, but one year off of the tour is more than enough. I would have been OK with Evans receiving a longer sentence—any time sport can come down against illegal drugs, it should. But a year ban, plus the $121,000 in prize money that Evans will have to forfeit, should send him and others the message that this activity isn't tolerated.. The punishment for Dan Evans might seem harsh at first glance, but after reading the report I believe the right decision was made and the correct signals have been sent to players of the future. Evans made a bad judgement and now he must serve a severe yet appropriate penalty for not adhering to the highest standards of professional conduct. Hopefully this will serve as a wakeup call for Evans. Even if it was "inadvertent contamination," he should've known better than to use cocaine. This is a good message to send to Evans and fellow players that the book will be thrown at them should they take any banned stimulants, performance-enhancing or not. A one-year ban is the lightest sentence Evans could have received, but I think it's fair. He owned up to using cocaine, and the ITF accepted that he took it out of competition, where it's not banned. Most important, there should be a distinction between using recreational and performance-enhancing drugs. A year out will be a significant setback, and hopefully put him on a better track.